First Listen: Sarah Jaffe, 'The Body Wins' Produced by John Congleton, The Body Wins busies up Jaffe's sound to a remarkable degree — and, more importantly, retains her cool ability to shape-shift from warm vulnerability to icy distance and back again as it suits her. 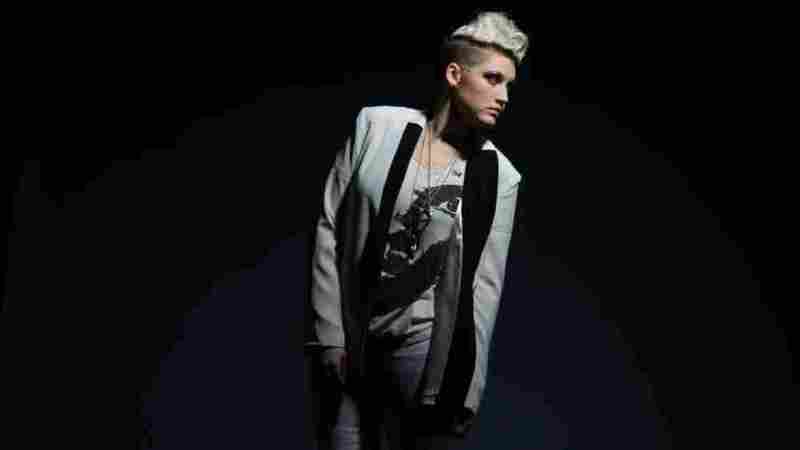 Sarah Jaffe's new album, The Body Wins, comes out April 24. Before The Body Wins, Sarah Jaffe had released one full-length album and a pair of EPs, all of which showcase a moody, laconic, singer-songwriterly country-folk sound. They're each enormously promising — from the early gem "Even Born Again" to the breakthrough ballad "Clementine," all the way through a strangely sweet cover of Drake's "Shut It Down" — but none suggest the stylistic leap Jaffe takes on The Body Wins. Produced by fellow Texan John Congleton, the new album (out April 24) busies up Jaffe's sound to a remarkable degree — and, more importantly, retains her cool ability to shape-shift from warm vulnerability to icy distance and back again as it suits her. Jaffe herself has become a more accomplished and versatile musician in recent years, inspired in part by some rhythm instruments she purchased in a pawn shop, and The Body Wins reflects that heightened commitment to sonic invention: Jittery and unpredictable, with sounds smeared left and right, it's a Congletonian concoction in the spirit of his past collaborations, most notably with St. Vincent. But for all the window dressing and tricked-out arrangements, The Body Wins still sounds like a Sarah Jaffe record, driven by her wise and bracing ruminations on human behavior. For one thing, it's more than just a snappy title: The words "the body wins" come into play repeatedly, as a way of highlighting humanity's hard-wired impulses and desires. That fatalistic resignation may govern the overarching tone of The Body Wins, from the aching, Emily Haines-esque ballad "Foggy Field" to spiky rockers like "Talk" and "A Sucker for Your Marketing," but the whole album makes the sound of an emboldened singer in complete command. Jaffe has completed the transition from "musician" to "artist," and she wears it well.